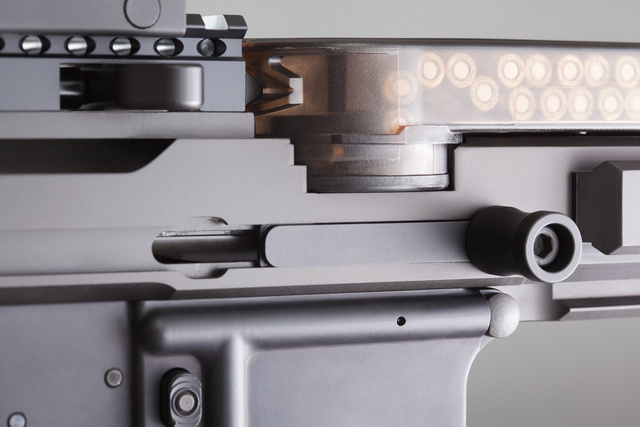 The location of the magazine limits the scope length, making prismatic design a natural choice. 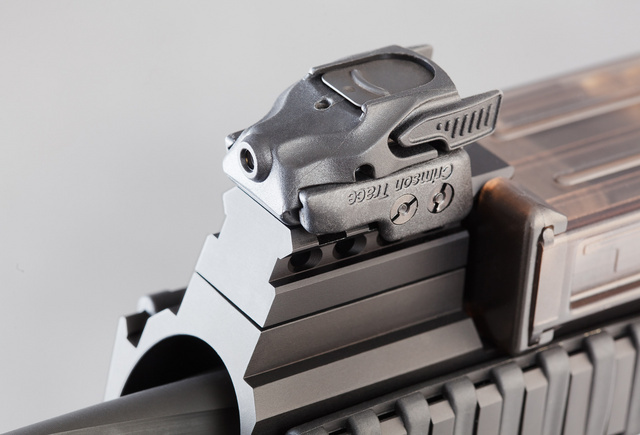 CTC laser is mounted as a backup sight because I view all rifles as possible defensive tools. The barrel is fairly thick and also fluted, while 5.7×28 doesn’t generate that much heat. 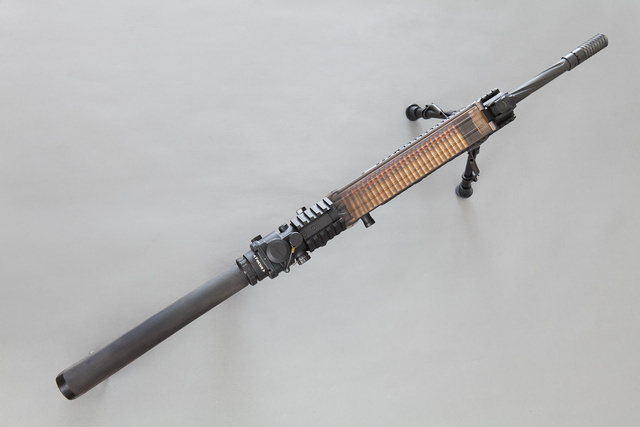 If a shooter does warm it up, the rail with the laser is well separated from the barrel. 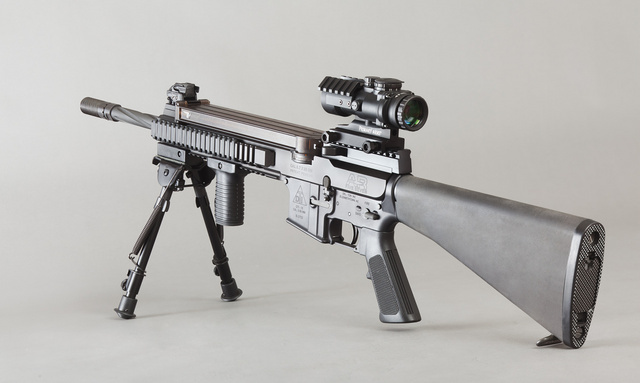 This entry was posted in light/laser, rifle and tagged 5.7x28, AR57. Bookmark the permalink. With the lack of recoil for the 5.7x28mm round and the free-floated quad-rail, I’d recommend homeboy sights mounted at 3 or 9 o’clock, like you blogged about at CTD: http://cheaperthandirt.com/blog/?p=14428 .